This beautiful camper is all comfort! With its Renault engine 135 hp and 6 gears a joy to drive. Thanks to the leather upholstery and spacious layout, (lockable bedroom) ideal to go on holiday with the Rimor Katamarano. 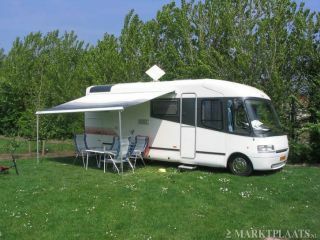 This camper is equipped with new winter tires and the ring heater is wonderfully warm so suitable for winter sports. 2 extra long beds (80x200 cm. & 80x205 cm.) These 2 beds can be made into 1 large bed. The bed is then suitable for a child. The electric lift bed is 125 x 202cm The dinette can be converted into a bed. 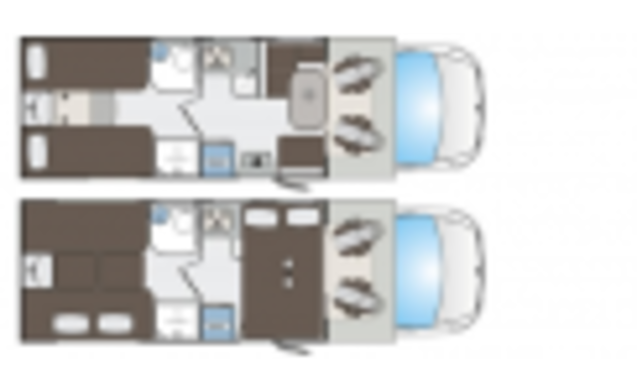 Electric entrance, awning, radio, separate shower, large fridge, 2 pilot seats rotatable, bike carrier etc. A wonderful camper! In the high season for rent per full week with as changeover day Friday or Saturday. 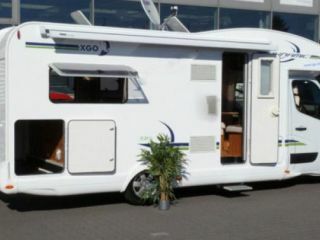 We expect the camper clean inside, if that is not the case then we charge 75 euro cleaning costs.